When TV shows run out of ideas, they fall back on that old faithful: the clip show compiling all of the ‘best bits’. And when they run out of their own TV shows, there are always clip shows made up of the best bits of other people’s shows: the I ❤ 1984 (etc.) model, featuring talking heads from D-list celebrities reminiscing about the time that dog said “sausages” on That’s Life. As a D-list blogger myself (what do you mean I’m getting above my station? ), this regurgitation of other people’s brilliance is the perfect model for me to reminisce on the best blog posts of each month (with the added implication that I’ve run out of ideas). How to prepare students for the future by @websofsubstance: Harry planted his flag in as early as January 2nd in the race for ‘Post of the Year’. Take heed of his keen advice: Expose students to that which has endured. A Singapore-UK standoff: textbook round by @BodilUK: Bodil’s been buying books. Textbooks, to be specific. Textbooks from Singapore. And they look bloody good. Read them and weep (and learn), UK. Some Problems With “Action Research” by @Bio_Joe: Thanks to this brilliant post by Joe, I’ve now added the word significant to my list of words-that-are-used-in-a-way-which-often-leaves-their-actual-meaning-behind-in-order-to-promote-a-pedagogy (see impact, evidence, research, etc.) The “study” Joe picks apart here comes from a website riddled with spurious arguments and “research” in the name of “evidence”. Which is a shame because it is an area I’d like to see some reasoned thought around. Can we teach students to make inferences? by @atharby: Andy precisely and eloquently pinpoints the very reasons why teaching thinking skills is largely unhelpful, and why building student knowledge is a much more effective approach. I wish I’d had this to hand when I sat through a cognitive acceleration training course that promoted thinking skills in English recently. How do we get them reading? by @katie_s_ashford: Katie generously shares the fruits of her scrutiny on the research and approaches to solving “the problem of reading”. These systematic and practical ideas are absolute gold – send this to your literacy coordinators/English department/SLT/everyone now. The First Rule of Ofsted Club? There is no Ofsted Club! by @kevbartle: Keven’s response to this ill-advised Secret Teacher article is everything you’d expect from a headteacher with such a record of thought and thoughtfulness in his approaches to teaching and leading. In short, stop playing the Ofsted game. Undermining teachers is easy by @LearningSpy: The blogdaddy David Didau reiterates the necessity for schools to master behaviour as requisite for learning, and decries the damaging line of thought (avowed in this instance by a school inspector, no less) that states that good behaviour is merely a product of good teaching. A lesson is the wrong unit of time by @BodilUK: A second blog from Bodil, in which she questions why our discourse and measurement always revolves around ‘the lesson’ as a unit, when the reality of learning expands way beyond that unit’s boundaries. She’s absolutely right, as usual. I Did Not Speak Out by @SurrealAnarchy: Martin’s writing always provokes deep thought, and this clever channelling of Pastor Niemöller is a stirring illustration of the constantly shifting focuses and measurements in schools (and the impact of these on pupils and teachers). Take three deep bowls (each large enough to immerse your hands in). Fill one with cold water, one with water at room temperature, and fill the final one with hot water. Place them in front of you in a row, with the bowl of room temperature water in the centre. Now place one hand in the bowl of cold water and one hand in the bowl of hot water and leave them for about 20-30 seconds. Take your hands out and quickly place both in the room temperature water. Interesting, eh? Now let’s stop pretending that you actually did all of that (but kudos to anyone who did: you’re in my fraternity now – I’d show you the handshake but, you know, you have wet hands). The sensation that one feels when placing both hands in the room temperature water is that the hand that was in the cold water first now feels as if it is in hot water, and the hand that was in hot water now feels as if it is in cold water. This is called perceptual contrast – the idea that our perception of something is affected by the context in which it is placed. In this instance – as in most examples – by presenting two different things directly after one another, our perception of the second thing is altered. It’s a form of anchoring, which I wrote a little about here. This phenomenon isn’t just present as a physical sensation – it also works psychologically. You will have seen lots of optical illusions like the one below. 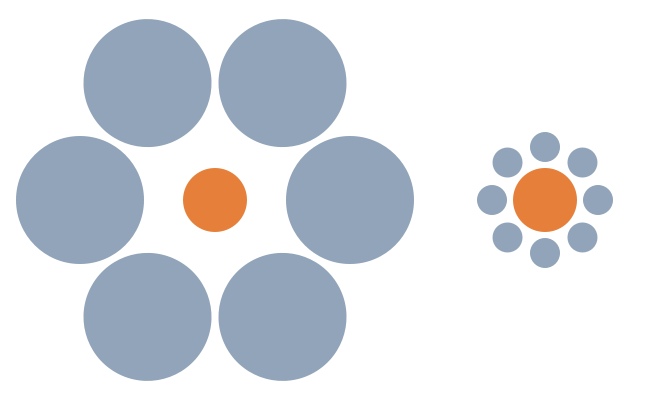 They basically work on the same principle – we perceive the contrast between the two orange circles to be greater than they are. In fact, as your relentless experience of this type of trick has probably told you, the two orange circles are actually the same size. It is the context that makes you perceive the contrast. Which of these orange circles is largest of the two? Suppose a man enters a fashionable men’s store and says that he wants to buy a three-piece suit and a sweater… Clothing stores instruct their sales personnel to sell the costly item first. Common sense might suggest the reverse: If a man has just spent a lot of money to purchase a suit, he may be reluctant to spend very much more on the purchase of a sweater; but the clothiers know better. They behave in accordance with what the contrast principle would suggest: Sell the suit first, because when it comes time to look at sweaters, even expensive ones, their prices will not seem as high in comparison. The same principle applies to a man who wishes to buy the accessories (shirt, shoes, belt) to go along with his new suit. Contrary to the commonsense view, the evidence supports the contrast-principle prediction. The same principle is applied to car sales. 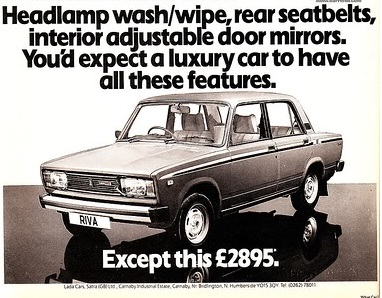 Quite often you’ll see an advert for an ‘on the road’ price of a car. Once you’ve acquiesced to pay this price for a car, the dealer will offer you add-ons. After you’ve spent thousands on a new car, a few hundred on some added flashes and gadgets seem trivial and you are more likely to pay for these. I don’t know about you, but I’ve lost count of the times that I’ve paid for add-ons to expensive purchases that I’ve made. It is with this phenomenon in mind that I think we should have reservations in our reception of Ofsted’s revised school inspection handbook, released this week. After years of campaigning for Ofsted reform (by the way, that is a brilliant list of blogs compiled by de facto Chief Librarian of the campaign, Joe Kirby), the Rebel Alliance, led by legendary master Old Andrew Kenobi and flaxen maverick Jedi hero David Didau have recently begun to engage the inspectorate in dialogue. This has resulted in reiterations of policy and rewrites of the handbook, culminating in this week’s revised guidance. 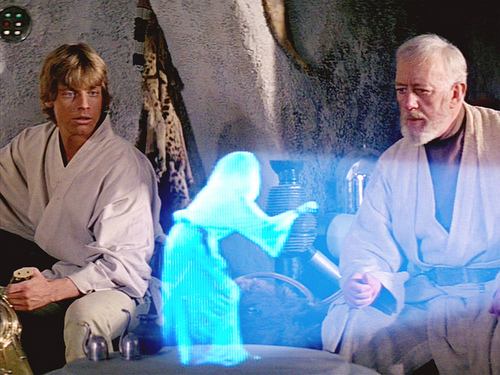 “You’re my only hope.” Deep in the BlogCave, David and Andrew receive a holographic message from new EdSec Nicky Morgan. The revisions have been received quite warmly – who could complain about the reiterations that inspectors – and I might be paraphrasing here – “definitely 110% guaranteed-or-your-money-back won’t be grading individual lesson observations, oh no siree, Bob, not this time and you can take that to the bank”? But is it enough? Are we in danger of accepting this Gallifreyan regeneration of the inspectorate because, well, it’s a bit different to the last one and the perceptual contrast means we see that difference as greater than it actually is? Is this a reboot or is it just a shot-for-shot remake with a different cast? I must admit, I think that the differences between this revision and the last aren’t as great as I’d expected them to be. It’s really important that we look at the inspection process from September in isolation and not in the context of the last few years. It doesn’t matter if it is better than what we had before – perceptual contrast has no actual value. What we should be asking is, just as the relentless bloggers have been asking all this time, is this incarnation fit for purpose? Is this incarnation actually right? I’m not sure that it is… yet. Now, above all, is the time to keep up the pressure. The education blogosphere is organising. We, the teachers, are reclaiming our profession. The momentum is rising. The next campaign target is to stop Ofsted grading teaching altogether. If we sustain it, radical reform of the inspection regime is within reach. Now, go and dry your hands.